The clothing brand LuLaRoe has many fans of its patterned leggings and geometrically designed dresses, which are sold by women out of their homes. But thousands of these “consultants,” as the company calls them, have left LuLaRoe. Several filed lawsuits last fall alleging the company was a pyramid scheme. Here & Now‘s Robin Young speaks with Claire Suddath (@clairesuddath), who has been looking into the company for Bloomberg Businessweek. She says in the early days of the company, these consultants were making thousands of dollars a month. But as more people signed on to sell the clothes — almost 150,000 in 50 states — there was too much competition. “So most of these companies, it costs maybe $100, $200 to buy into this and get your first package of inventory of whatever it is. “Mary Kay is about $100 [to buy in]. 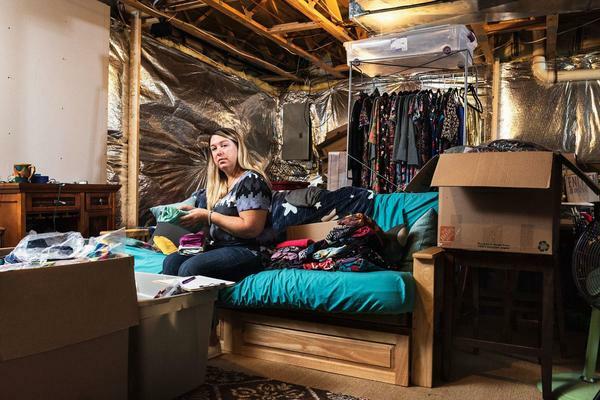 LuLaRoe is unusual in that the prices have changed over the years, but on average, women have spent about $7,000, sometimes upwards to $10,000, to buy in, and that’s just the initial inventory package. Lynnae, would offer to take people to Tijuana to get a gastric sleeve because in the U.S., we have fairly strict rules on who medically qualifies for gastric surgery. The rules are much more lax in Mexico.